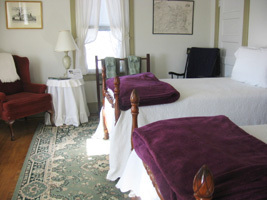 Rooms are furnished with antiques, stenciling, and crafts. 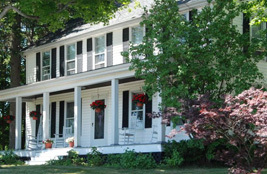 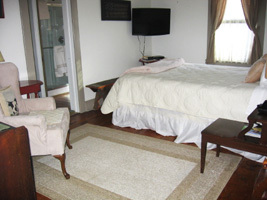 Accommodations include Pool, Sitting Room, Private Baths, TV, DVD, and AC. 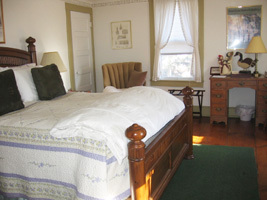 The sitting room has coffee supplies and a refrigerator for our guests' convenience.